Working for Teen Life the past seven years has afforded me the opportunity to walk the halls of many schools across our area. Every campus has a look and feel – even a smell! Some come equipped with the latest technology and new carpet while others seem to barely keep the lights on. These campuses are the epicenter of everything – education, culture, social life, development, relationships – all of it. Think about it – in our ever-fracturing society where everything is done online, the public school is the one place where ideas are exchanged and problems are solved – face to face. What used to be done in houses of worship and other public spaces can really only be found in public schools. And the reason for this is why I am endlessly fascinated with public schools especially – there is no requirement for entry. Public schools have no financial, educational, socio-ethnic, or religious requirement for entry. Simply put – if you live within a certain boundary of a public school – you can go and learn! To me it is kind of like our national park system. A long time ago, our nation’s leaders decided to reserve wide swaths of land, preventing anyone from exploiting or taking advantage of its natural resources. This would be a public space for all to enjoy nature without barriers to entry (save a daily fee, I guess). You get to see nature in it’s most preserved state and know that you won’t see a shopping strip or oil rig. It will never be exploited for profit, and nature can just be enjoyed – by everyone. Public schools in this way have to take everyone who passes through their doors. They have to accommodate all levels of learning and manage classrooms that are ever diversifying. Walking through the hallways and watching how the women and men work with their students is really a beautiful thing to watch. For many students, the public school might be the only safe place they experience. For some, it is a shelter from abuse. For others, it represents a hot meal and badly needed resources. For others, access to compassionate adults who can advocate on their behalf. This is a time of year where we shift back to the ebb and flow of the school day and calendar. Even those who do not have kids in school feel the effects of this time of year. We at Teen Life are so excited to start another year helping students on public school campuses across our area, and nationwide! Within the next few weeks across our nation, students head back to the classroom and our educators get back to work. Let us be looking for ways to support those who serve any and every student who come their way. It is a calling unlike any other. Pray for our educators. Check in with them. Ask what they need. Provide it if you can. Support them. Advocate on their behalf. School is back! Let’s lean into our local schools and make this year the best one possible! This past week I had the honor of speaking to about 100 students over the span of four nights at a church camp. I’ve never been asked to keynote a whole camp before, so obviously I was thrilled to have the opportunity. Our topic was about identity, which is a theme this particular group of students has been studying over the last year. I believe identity is one of the most important topics anyone can engage in when it comes to socialization, personality, spirituality, relationships, really anything. This is especially true with teenagers. It’s not only a shame that teenagers do not understand more about the journey they are on, but also that adults seem to be late to the party as well. When we interact with teenagers and decisions they make, we often forget what is driving many of those decisions to begin with – the big question. So when your student comes home with purple hair or has completely changed their belief system on a particular issue with no warning – maybe there is more going on than them just being rebellious. You see the driving question of “Who am I?” isn’t something they audibly ask – it’s something they work out by trying on new skins or doing things differently than they used to. Sometimes they will be more childlike than adult-like and visa versa. But it’s all part of the process of figuring out who they are. Why is this important? One word. Compassion. Being a teenager is hard and confusing. There are so many messages out there, so many things competing for their attention that it can get overwhelming to figure out who they really are. So when they make feeble attempts through their decisions and interactions, they won’t always get it right. And if we can approach them with patience and compassion, connections and relationships form – all things that will outlast dumb decisions! I encourage our readers to view the teenage years gently and with grace. 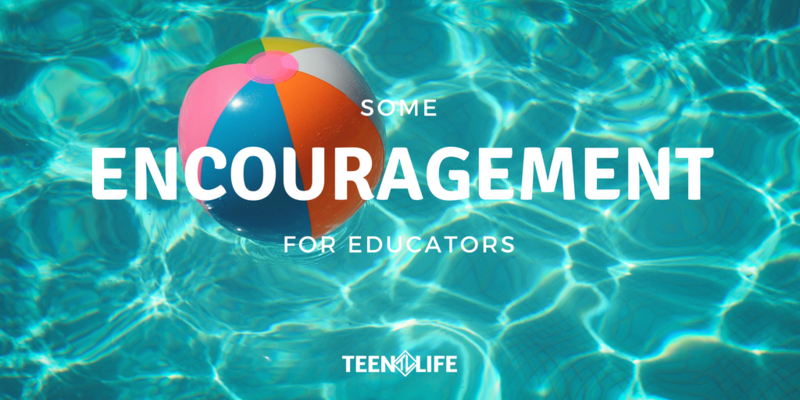 As adults who help teenagers, we have the opportunity to lead with compassion, building connections along the way. 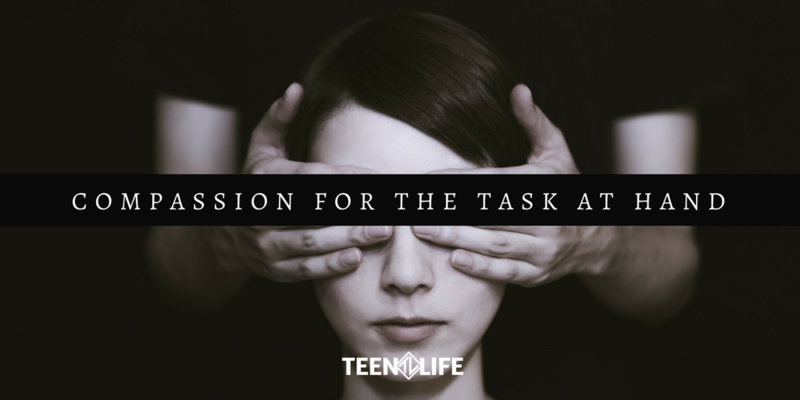 This can only be done by understanding and accepting what teenagers are up to – developmentally. They are literally figuring out who they are. And, if we can be there – encouraging, asking questions, being slow to judge – our kids will have the support they need to complete this task. We, at Teen Life, love the local school. Over my six years with the organization, I’ve been on what feels like hundreds of school campuses and interacted with the women and men who create these learning environments. They have a hard job and it seems like everything is changing – always! Whether it’s new students, students leaving, policy changes, administration changes, shifts in educational standards – whatever it is – our educators exist in a dynamic work environment. Literally it’s something new every day. And for those tasked with the social/emotional health of students, things can become more complicated. In order for a child to learn, they need to have basic needs met, and one of those is safety. We sometimes view safety as shelter from physical harm, but it absolutely stretches into emotional and social safety. A child needs to know they will be supported and given the things they need in order to engage in any kind of learning process. Those counselors and interventionists are tasked with a big job – especially considering the pressures put on them to keep struggling kids in their classrooms. As another summer looms large, let us remember the rest and rejuvenation ahead for our educators. The rigors of a school calendar can be draining and push people to the limit. In our religious tradition, we find the practice of Sabbath on a weekly basis to create intentional time to rest, rejuvenate, worship, and play. In the scriptures, we find examples of longer sabbaths where the people took a rest from their work for extended periods in order to let their communities rest. The summer break was originally put in place to allow families to have their kids home on the farm for harvest, now it is just a way of life. But I believe it allows for a natural rest cycle to happen not only for the students, but for educators as well. Make a plan for your rest. Yeah, I know that seems counter-intuitive, but there is something about having some goals set to make you a better person on the other end of the break. What books do you want to read? Where do you want to go? What projects have been pushed aside? What Netflix needs to be consumed? Do you need to say “no” to anything this summer? Are other people trying to take time away from your break? Obviously say “yes” to the important things, but depending on what you need, you might have to say “no” every now and then. Ask yourself, “How do I want to be better after this break?” Do you want to create a new habit? Learn more about something new? Achieve a goal? Write that down and put it somewhere that you will see it. Stay off social media. Not much else to say here. Educators – you have earned the break. Thank you for loving our kids and pouring so much into their development. Thank you for creating welcoming environments to an ever-diverse student body. Thank you for dealing with difficult parents, the bureaucracy of public schools, and the politics of this day and age. Teen Life loves our local school friends! We will see you in August! I looked around the circle of students seated around the table and saw little eyes staring back at me in anticipation. All of these students were from different parts of the world and had arrived in America as children of immigrants and refugees. None of them spoke english, and for the most part, none of them spoke the same language. Maybe it wasn’t anticipation in their eyes but more of a fascination of an english-speaking white dude like me who had no idea how to interact. As I looked around the table, I saw one student whose eyes were not on me. In fact, we couldn’t see her eyes at all. She had her head down in her arms and didn’t speak. While all of the other students seemed excited about being in one of our Teen Life groups, she was not. She wanted nothing to do with it, or so I thought. In a lot of other situations, I would have pressed a little harder to get her to participate. But this time I didn’t for some reason. I felt like something was going on in her life that she needed to just be in the group – on her terms. So week after week, I would meet with this little “mini United Nations” of students, and we would muddle through trying to communicate and understand what was going on. Did I mention there were seven different languages represented in that group? So as you can imagine, the challenges were immense! And that little girl still didn’t talk. Maybe they just enjoyed seeing me struggle. Perhaps there was some respite in the idea that a privileged white American like myself was at a disadvantage. I’m sure it was entertaining to see me try to relate to students who had either moved to America because of persecution or to find a better life. But little by little, we started understanding each other. And, little by little, that girl started to raise her head. While she didn’t participate much, every now and then, we would catch a smile. We would do activities like “fist to five”. This one is easy – just ask someone any question and they get to answer using the numbers 0-5 to tell you how they feel about it. “Fist” is the worst (or zero) and “Five” is the best. So I could ask them, “How is school going today?”, and they had an easy way to answer – by just using their hands! More importantly, I could ask them what would have to happen to add one number to their answer. That’s where the good stuff started happening. And as the weeks went on, our little girl finally started to talk. It turns out my little friend had endured significant emotional, sexual, and physical trauma in her life – unspeakable things had happened to her in her home country. She spoke Swahili and went by what I believe was a pseudonym. It doesn’t sound like she had much safety in her life, but she found it in our group by simply being there and listening – not being forced to do anything she didn’t want to do. I remember the last day of group. I had a tap on my shoulder, and I turned around to a little girl who had her hair done up and a really pretty dress on. She said, “Hi Mr Chris! !” At first I didn’t know who she was. But then I realized it was my little friend from group who, just seven weeks earlier, could not bring herself to make eye contact with anyone. She was walking with confidence and seemed excited about the world she was coming into. Later I found out she has become a leader at this little international school. She would give tours to new students and families to welcome them to this school that had made such a difference in her life. 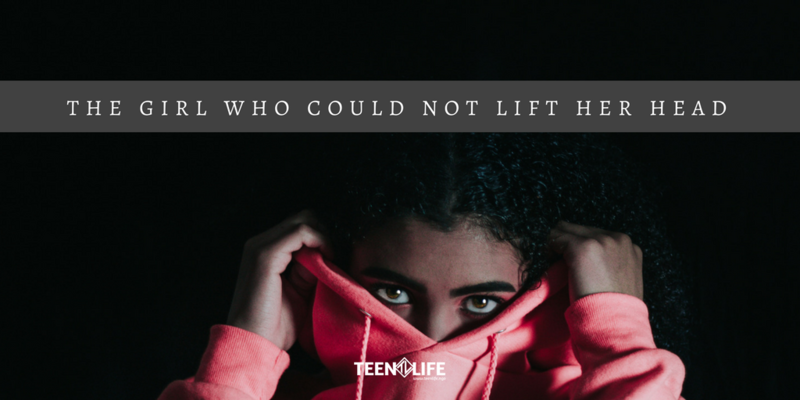 Some of you connected with Teen Life might not fully understand the impact of what we do and how our incredible volunteers make a difference in the lives of students year after year. 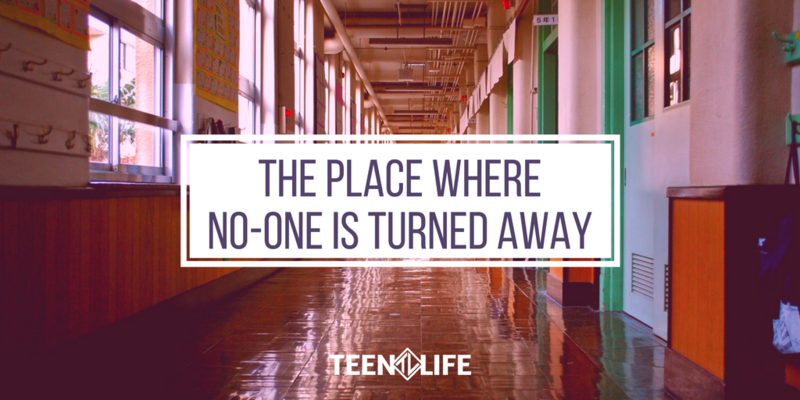 Stories like this abound as our groups offer safety to students who need a place for support. We are unique in this space and how we do it. And, the demand is growing. We have new school districts in new cities contacting us asking, “How do we get these groups on our campus?” In order to fulfill these requests, we need your support. Consider donating to our spring fundraiser as we build our funding to meet the needs of our community – and to help others as well. Giving is simple and your dollar goes a long way. Please click the link below to make a donation! Recently a documentary was released on the Avett Brothers called May it Last: A Portrait of the Avett Brothers – which I highly recommend. What struck me about the documentary was the relationship central to the band – the two brothers who are the primary singers/songwriters. They are four years apart and, well, brothers. How do they make it work? Most sibling-based bands don’t really last because, well, they are family. Families fight. Bands fight even harder. When you mix them, they typically don’t last very long. These guys have been doing it for almost twenty years! So why have they stood the test of time? Well, I’m sure there are many reasons, but there was one specific scene in the documentary that told the story for me and got me thinking more about how we interact with teenagers. The scene started with the younger brother sitting in the studio hammering out a new song, but he had gotten stuck on some of the lyrics. But what made this scene work is the older brother taking the song seriously. It was striking. It was obvious the younger brother was proud of the song, but really wanted the older brother’s finishing touches – even his blessing in a way. After the older brother listened to the song itself and understood what the song was was about, he was able to help the younger brother figure out the best path forward, and the two of them ended up creating an incredible song. And in so many ways, this is what helps a sibling band – one that on paper is destined to fail – last almost twenty years. And I believe that this idea is something that creates a protective factor for a teenager – adults who take teenagers seriously. For most adults, teenagers are so easy to dismiss. I hear all the time people say, “Oh, they are just teenagers!” And sometimes it’s really hard not to take that stance. That is a lot to handle for so many of us. It is much easier to just dismiss than to actually engage. But, I think that is where we miss opportunities with teenagers. What if we took them seriously? It doesn’t have to mean they are right or they need to be corrected. Even if we think what they are going through is rather silly or unimportant – it’s still their stuff. And, what has it meant to you when someone older or wiser takes you seriously? Maybe they thought what you were going through was rather silly or unimportant. But they still listened. They still empathized. They stayed and heard you. My guess is it made all the difference for you. And my guess is it will make all the difference for the teenager in your life. 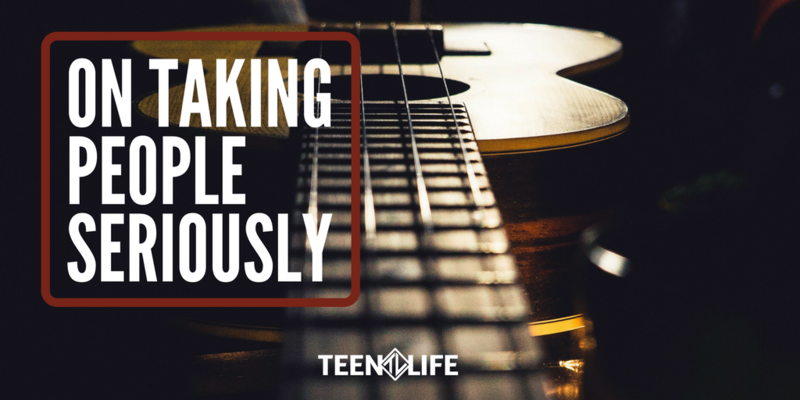 So the next time a teenager is sharing something about their day or a problem they might be facing – take it seriously. It might surprise you how well they respond – and come back to you again. Chris Robey, Teen Life’s COO, has worked with teens for over a decade and strives to help students see the best in themselves.